Reborn Cabinets Inc. chose to be a part of Baths for the Brave because it believes strongly in honoring military veterans. 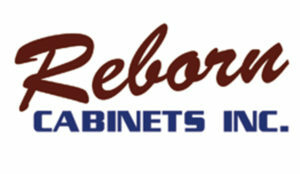 Vince and Anthony Nardo are brothers who inherited Reborn Cabinets from their father, who served in the U.S. military. They understand the sacrifices that are made when someone chooses to serve, which is why they selected Glenn Smith as a veteran who will receive a new shower on Nov. 8 as a part of the Baths for the Brave event. To learn more about Smith, see his story below.